Steve joined the firm in 1999 and brought with him almost 10 years of experience representing hospitals and healthcare professionals. He has continued to focus on defending healthcare professional and has worked in all facets of such cases from inception to trial. 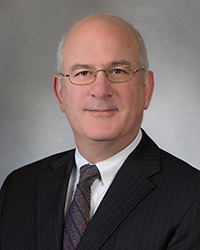 His knowledge and experience allow him to provide reasoned and systematic litigation strategies that optimize the outcome and the needs of the client.